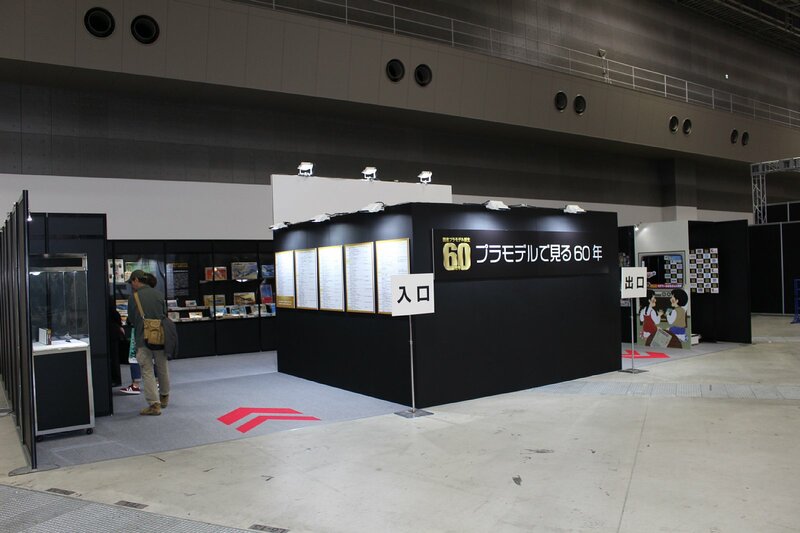 One part of the “58th All Japan Model Hobby Show” held at Tokyo Big Sight from September 28th to 30th is an exhibition “60 Years as seen in a Plastic Model” commemorating the 60th anniversary of the release of the domestic plastic model A corner was set up. 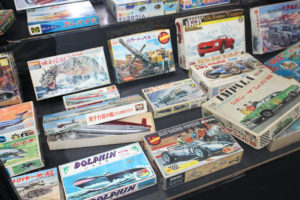 In the corner, the packages of popular plastic models released from domestic manufacturers in the past 60 years are displayed divided into age and category. 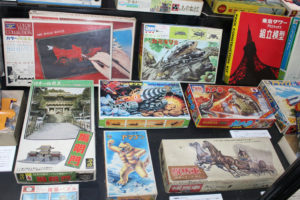 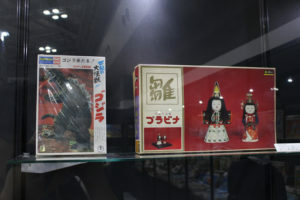 There should be many visitors who are excited about the sight that nostalgic box paintings are lining up with Zurari. 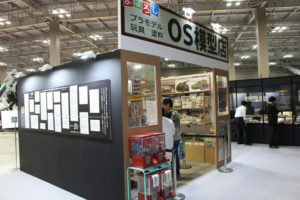 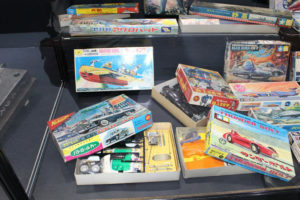 And inside the corner, we set up “Mashiro OS model model shop” modeled on “OS model” that actually existed in the 1950s, and exhibited a plastic model that could not be exhibited in the case. 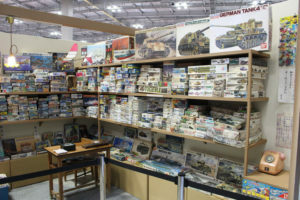 In this article I took most of the plastic models on display and added a column for each corner so I hope you will enjoy the atmosphere. 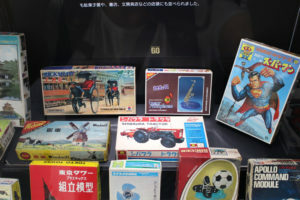 1960 to 1970 ‘s where Japan was in a high growth period. 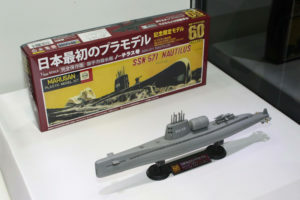 Starting with the release of the “Nuclear Submarine Nautilus” made by Marsan in 1958, each company releases everything around us as a plastic model. 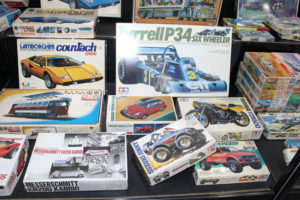 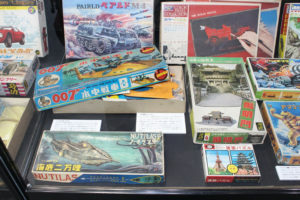 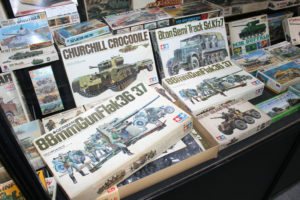 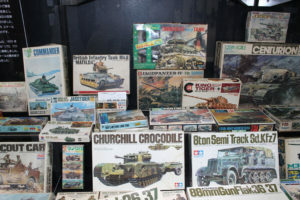 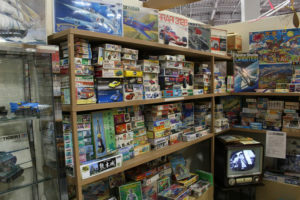 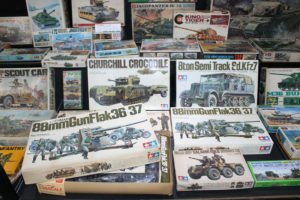 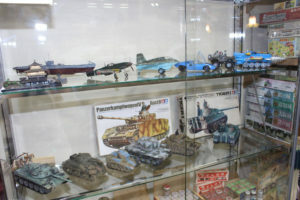 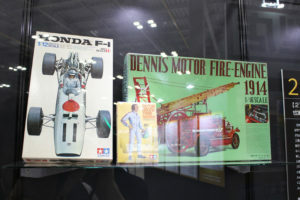 Not only the scale models such as tanks and cars but also the various models such as buildings, household appliances, animals and insects, interiors, etc. 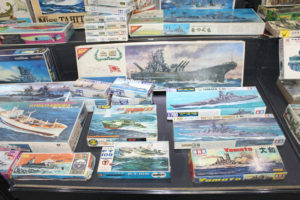 Plastic models not focused on categories are fun just looking at it. 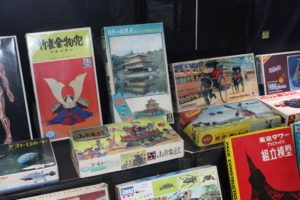 Also, due to the colorization of television broadcasting and the launch of boy’s manga magazines, children’s characters and appearance mechanisms are also on the market. 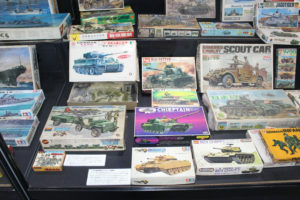 A lineup full of variety, having fun just by watching. 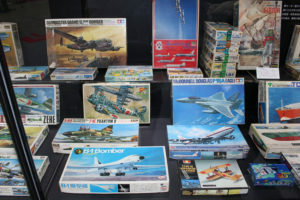 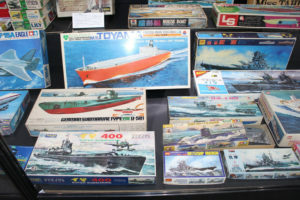 The variety model lineup is popular among scale models such as military-related vehicles such as ships, aircraft and tanks developed from Nautilus of Marsan and cars developed from the car boom since the 1960’s. 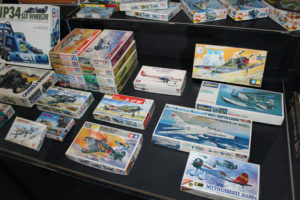 In the early days, there were many things that used a motor to turn propellers and enjoy traveling, but the flow is pursued with realism such as appearance and detail while emphasizing the model and model of the actual machine , And the kit that moves with the motor hides the shadow. 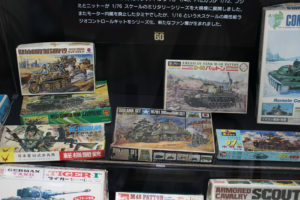 In 1968, a soldier doll of 1/35 scale was released from Tamiya, and from that time on, the military model of the same scale was named “Military Miniature Series” and it has been established as a popular series until now. 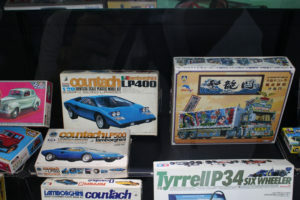 The car model has motifs such as race cars and decoratas, or super cars that caused a big boom in the 1970s. 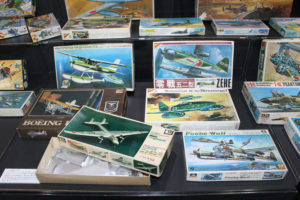 A series of aircraft that is still popular now. 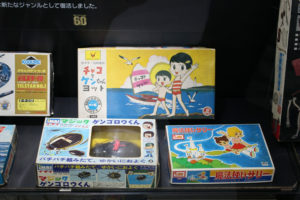 According to the launch of Mabuchi’s miniature motor “mini baby”, some models enjoy propeller’s rotating gimmick. 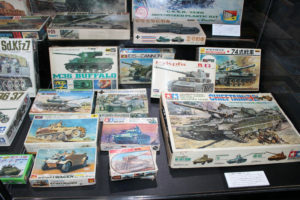 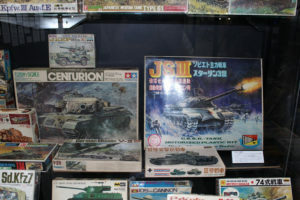 Among the exhibited categories, there are a lot of models, and it is a model of a tank where you can see that it was popular. 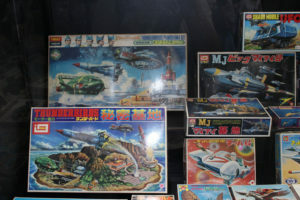 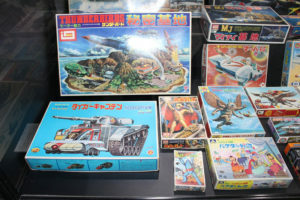 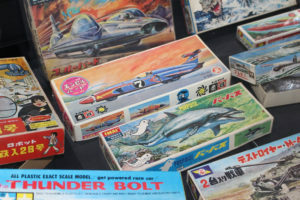 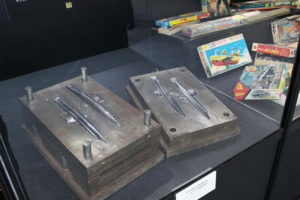 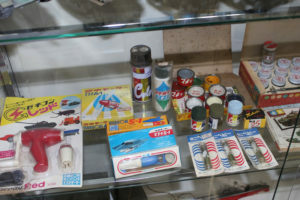 The character model plastic which is the main stream of the current plastic model market starts penetrating to the market in a stroke, starting with the kit form of “Ultraman” and “Thunderbird” of the 1960s. 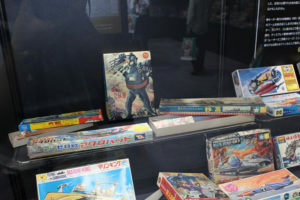 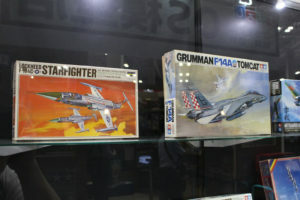 In addition, original model such as “Robodachi” of 1975 which Mr. Sato Ozawa of the cartoonist designed, “SF 3. 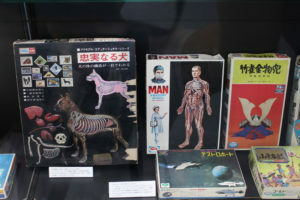 D ORIGINAL” ~ “Maschinen Krieger” leading to kitization from serial series of magazines is enriched. 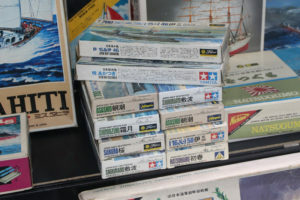 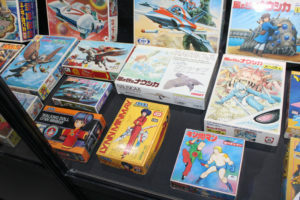 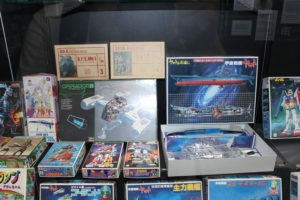 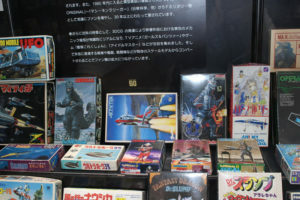 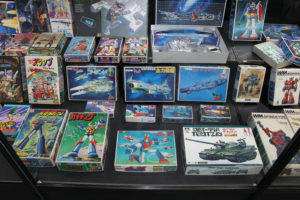 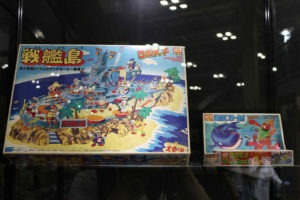 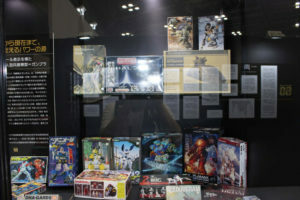 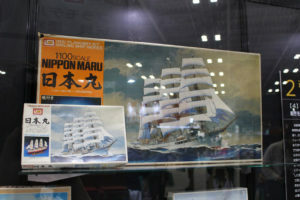 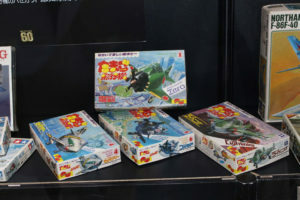 And, after Bandai’s “Mecha Collection” series of “Space Battleship Yamato”, etc., the appearance mechanism of “Mobile Suit Gundam” released in 1980 became a plastic model, “Gundamu” also became a social phenomenon, and the series continues until now , The kit was also reprinted in parallel, it became a hobby that can be enjoyed with parents and children 2 generations. 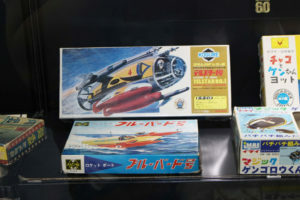 A number of character models in which flashy packages of primary colors stand out. 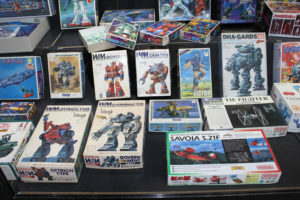 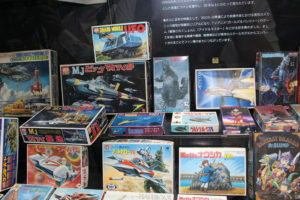 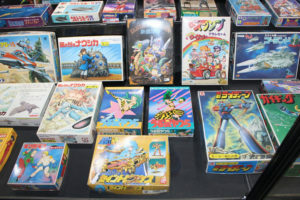 At the time when figures of finished goods were small, many models of appearance characters were released as well as mecha. 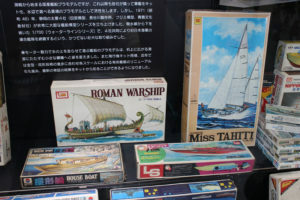 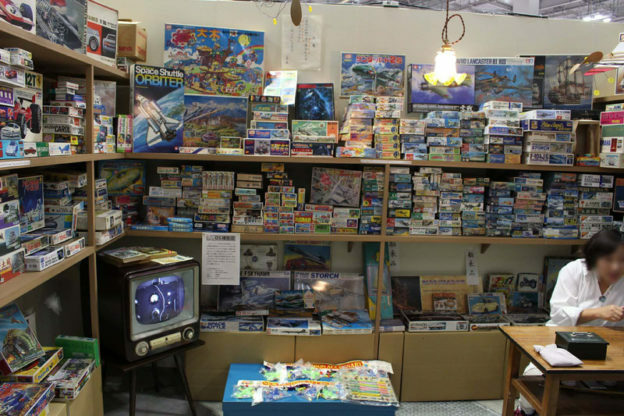 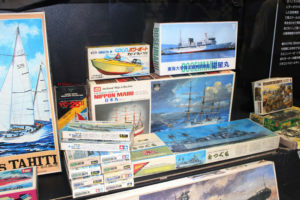 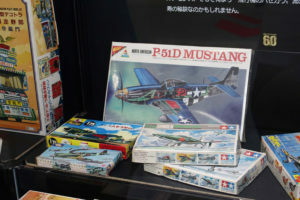 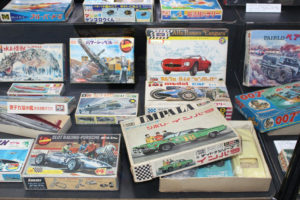 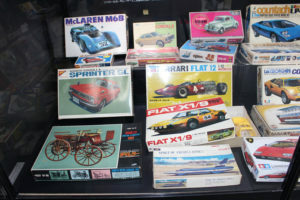 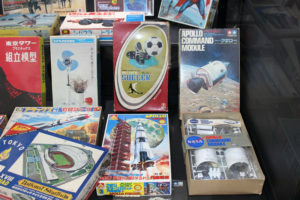 The corner of “Maguroshi OS model shop” displays a plastic model with a layout that imagined plastic model shops in the 1960s and 1970s. 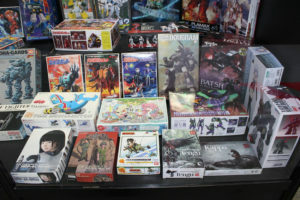 The staff at the hall is sitting like a clerk and there is atmosphere. 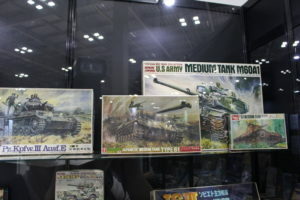 This entry was posted in Event Report, Tamiya Company, Vintage on October 9, 2018 by admin.